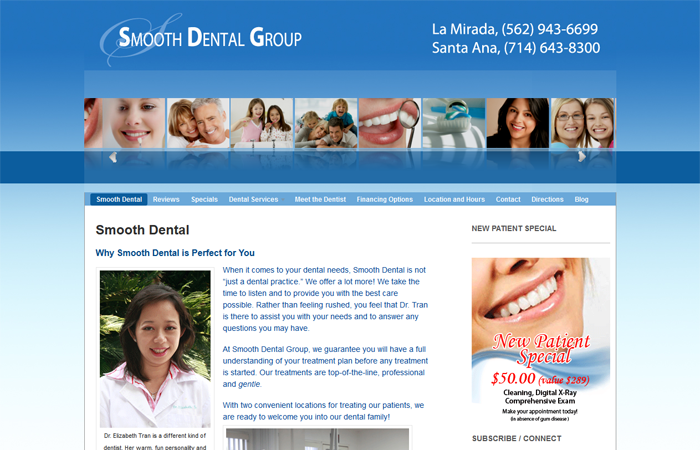 When it comes to your dental needs, Smooth Dental is not “just a dental practice.” We offer a lot more! We take the time to listen and to provide you with the best care possible. Rather than feeling rushed, you feel that Dr. Tran is there to assist you with your needs and to answer any questions you may have.